It is the policy of Lakeview College of Nursing that all students shall be treated fairly and be free from discrimination and harassment. Lakeview College of Nursing will strictly enforce this policy and diligently investigate any violation of a student’s rights. This Grievance Policy is the formal method for students and staff to bring rights violations to the College’s attention so that they may be investigated and resolved. The Grievance Policy does not apply to grade changes. See Grade Appeal Policy. Informal Resolution. Students who believe they have been a recipient of discrimination, harassment, or unfair treatment are encouraged to talk with the offending faculty or staff member to discuss and attempt to resolve their concerns informally. Please note, however, that students are not required to attempt informal resolution before filing a grievance. A Lakeview College of Nursing faculty member or employee who is made aware of any incident of discrimination, harassment, or improper conduct, shall complete and submit an Online Incident Form, available at the Lakeview College of Nursing website, within 48 hours of learning of the incident. Upon receipt of a properly completed Grievance or Incident Form, Lakeview College of Nursing shall assign the Grievance to a designated investigator who shall diligently investigate the complaint or report. The investigator shall commence his or her investigation within five (5) calendar days of receipt of the Grievance Form or Incident Report. Any incident involving sexual violence will be investigated within 12 hours of submission of on-line incident form. Reviewing the written complaint or incident report. Interviewing the parties involved and/or potential witnesses. Reviewing relevant documentation and other evidence. 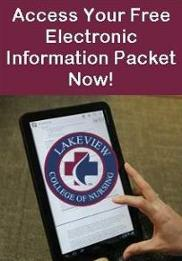 Reviewing applicable Lakeview College of Nursing policies and procedures. Ending or remediating any harassment, eliminate a hostile environment if one has been created, and preventing harassment from occurring again. The investigation shall be concluded within twenty (20) calendar days from its commencement. If extraordinary circumstances require more time to complete the investigation, the investigator shall notify the Assistant to the President, in writing, before the original twenty (20) day period has expired. Upon written approval from the Assistant to the President, the investigator may be granted an additional fourteen (14) days to complete the investigation. The complaining/reporting party shall be notified in writing of any extension granted. If, based upon the review of the investigator's findings and documentation, the Director of Assessment and Title IX/ADA determine no violation of College policies occurred then the investigation will be concluded. In that event, the Investigator shall provide written notice of closure to all parties within three (3) days of closing the investigation. If, based upon the review of investigator's findings and documentation, the Director of Assessment and Title IX/ADA determines violations of College policies, then the Grievance and investigation documentation will be referred to the Student Affairs Committee. After receiving notice of violations of College Policies, the Student Affairs Committee shall schedule a hearing, where it shall consider all relevant evidence including the testimony of all parties and witness to the Grievance. The Chair of the Student Affairs Committee shall notify all parties and witnesses of the date, time, and location of the Hearing, not less than seventy-two (72) hours before the time the Hearing is to commence. Notification shall be deemed properly given when sent by properly addressed mail or email. At the hearing, any persons accused in the Grievance shall be given the opportunity to give testimony, and may invite witnesses to testify on their behalf. The rules of evidence which would ordinarily apply in a court of law shall not apply to this Hearing. The Student Affairs Committee may consider any evidence which it believes to be relevant and reliable. A recording of the Hearing shall be made. The recording shall be the sole property of the Lakeview College of Nursing, shall be kept strictly confidential, and shall not be subject to review or transcription by any party. Following the hearing, the Student Affairs Committee shall meet, and shall make a determination as to whether discrimination occurred, and if so, the Student Affairs Committee shall apply any and all appropriate sanctions and/or craft an appropriate remedy. The discrimination, harassment, or misconduct is stopped. The sanctions and other remedies, as determined by the Student Affairs Committee, are implemented. Whether or not a hearing is conducted, the Student Affairs Committee shall notify all parties to the Grievance of its decision, including any and all sanctions and remedies to be implemented, within three (3) calendar days of reaching its decision. Appeal. Any party involved in the Grievance may appeal the decision of the Dean, or the decision of the Student Affairs Committee, by completing and submitting an Appeal Form to the Office of the College President within seven (7) calendar days of receipt of the decision. The appeal form may be requested at the Office of the College President. Upon receipt of a properly completed Appeal Form, the College President may accept or overturn the decision of the Dean or Committee, may accept, reject, add, or modify any sanction or remedy imposed, or may remand the grievance for further investigation, review, or re-hearing. The following information will be needed to complete an appeal: In any such event, the decision of the College President is final. The College President shall notify all parties to the Grievance of the result of the Appeal within seven (7) calendar days after receiving the Appeal Form. This grievance process is concluded. Supporting information that a wrong decision has been made by the Student Affairs Committee. In any such event, the decision of the College President is final. The College President shall notify all parties to the Grievance of the result of the Appeal within seven (7) calendar days after receiving the Appeal form. The is grievance process in concluded. Students will not be subject to adverse action as a result of filing a Grievance, or participation in the investigation or hearing of a Grievance. Retaliation against any student due to any involvement in the filing or investigation of a Grievance is expressly prohibited. IBHE online complaint system at http://complaints.ibhe.org/, accessible through the agency’s homepage (www.ibhe.org). The IBHE online complaint site includes step-by-step instructions and key information about the complaint process.